Higher Minneapolis Duplex Rents May Inspire Tenant's Rights | Your best resource for buying, selling, owning and investing in duplexes and duplex homes. If you are currently a Twin Cities landlord, or are simply thinking of becoming one, pay attention. Vacancy rates in Minneapolis duplexes and multifamily properties are at or near two percent. That means there’s a limited supply of rental housing. And if you remember your high school economics correctly, you know when supply is limited, prices go up. Minneapolis is no exception. Rent is up 17 percent since 2010. With rent sky high, two things are happening. Investors are buying older properties, rehabbing them, then raising the rent. From an investors perspective, this is a value add opportunity. The trouble is, higher rent often forces existing tenants to move out. And they are having a hard time locating places they can afford. Last Monday, Minneapolis City Council members introduced a draft for an ordinance that would offer renters some protection from rising rent, predatory landlords and fast evictions. While still in it’s early stages, to date the proposal includes establishing reasons a tenant can be evicted, limiting the length of time a landlord can look back at a tenant’s eviction history, capping the amount of security deposits, and establishing a relocation fee to tenants who are forced to move. 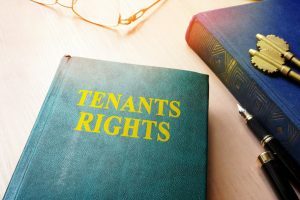 It also recommends requiring landlords to give a tenant written notice of how much money they owe to avoid eviction, and some ways a resident could terminate a lease early. Minneapolis is not alone in discussing measures to protect tenants. St. Paul, St Louis Park, Brooklyn Park, Bloomington and Minnetonka are also discussing changes. Some of the proposed ordinances state if landlords of affordable housing properties raise the rent, rescreen tenants or terminate leases without a legal reason in first three months of ownership, they must pay a fine to the city as well as contribute to help the disclosated tenants get relocated. As a property owner, it’s important to keep tabs on existing as well as proposed city ordinances. Then take that information a step further and consider how it may impact your finances and property management.